A champion of Shostakovich's music, Bernard Haitink leads the Fourth Symphony, a dark and emotionally, groundbreaking work. It's often the case that great art emerges through great suffering. In Shostakovich's Soviet Union, darkened by the shadow of Stalin, music was essential—it expressed the ideas and feelings of a people that otherwise had no voice. Yet the Fourth Symphony lay dormant, unperformed, for 25 years after its completion. This stunning symphony is now recognized as one of the composer’s boldest and most brilliant scores. 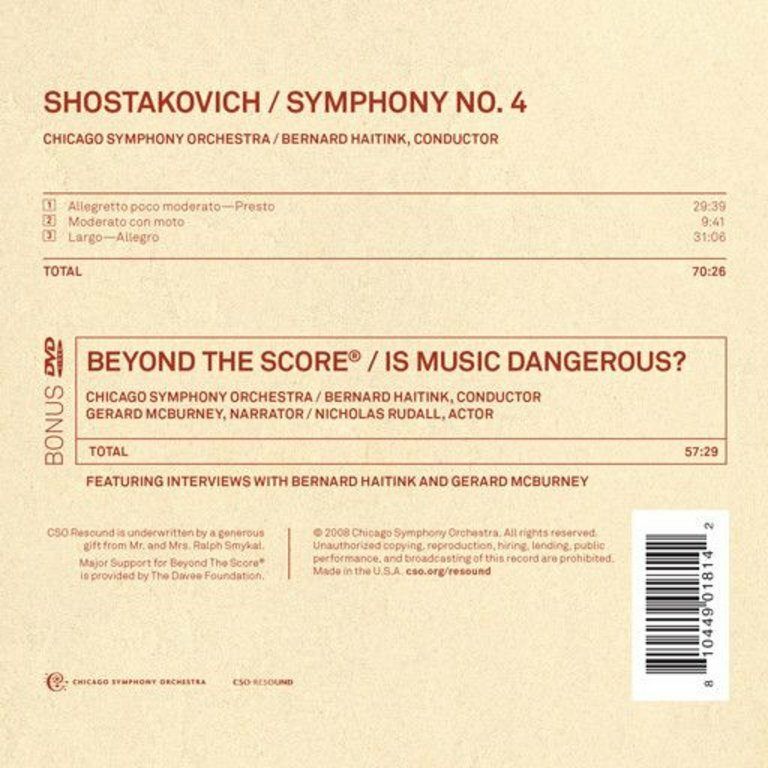 BONUS DVD: Accompanying the audio CD is a DVD of one of the Chicago Symphony Orchestra's critically acclaimed Beyond the Score® performance featuring a multimedia Shostakovich documentary led by Creative Director Gerard McBurney. Beyond the Score®: Is Music Dangerous?